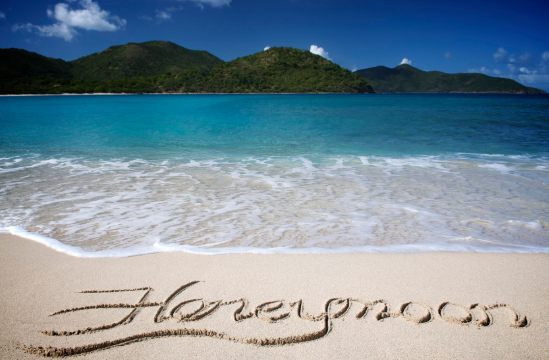 October is an ideal month to travel and a great time to take a honeymoon. The high travel season of summer has passed, leading to fewer crowds and better pricing. Locations offering the best scenery and activities autumn has to offer are at their peak and hurricane season is coming to a close in tropical locations. 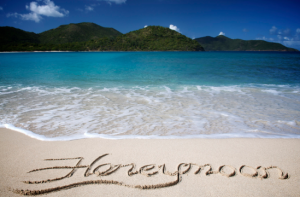 All of these things lead to wonderful honeymoon options for a reasonable cost. Spending your days exploring museums and markets, and then relaxing each evening at dimly lit restaurants sipping wine among the dramatic European landscapes is a romantic way to spend a honeymoon. By the time October comes around, many of the crowds which overflow in the summer months have retreated back to their homes. 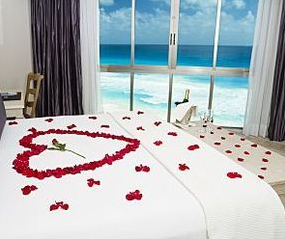 Hotels, inns and resorts tend to drop their prices a bit and may offer weekend specials. In addition, the weather is comfortable and the threat of wintery conditions is not yet a risk. Consider choosing a few cities close together that are easily accessible by train. For example, you can go to Prague, Budapest and Vienna and spend only two to four hours on each train ride getting from place to place. You might also consider experiencing the diversity of one country such as Italy where you can travel by train to Venice, Bologna and Florence. 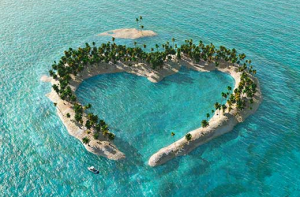 If you want a relaxing vacation without the worry of planning what to do and where to eat an all-inclusive, couples-only resort will be an enjoyable vacation for you. Here you will have the option to lay by the pool all day or be a bit more active with water sports and off-site excursions. You can sip fruity drinks and munch on tasty beach snacks all afternoon, and then get dressed up for an elegant dinner with top shelf martinis. A bonus to going this time of year is that, as kids go back to school, parents stay at home and resorts often drop prices to reflect this. In addition, hurricane season is winding down with the official end being November 30th, therefore risks of bad weather are reduced. These types of resorts exist all over the Caribbean but Jamaica and St. Lucia are popular locations. Enjoy the Autumn Colors of the U.S.
Leisurely days driving through the countryside enjoying the beautiful scenery created by the changing colors of trees, and then spending the evenings by a crackling fire with spiced apple cider is an excellent option for a romantic October honeymoon. Some of the top rated places to see fall foliage include Lake Champlain, Vermont, the Smokey Mountains National Park in North Carolina and Tennessee, and Charlottesville, Virginia. You can spend your day hiking or driving and your nights dining at local restaurants in the nearest town center. Each place offers cozy inns or lodges where you can soak up the nature around you and enjoy local fall favorites such as apples, apple cider and maple syrup.